You can review your loan offer(s) by following the step-by-step instructions below. 2. Select 'Apps' at the top of your Dashboard. 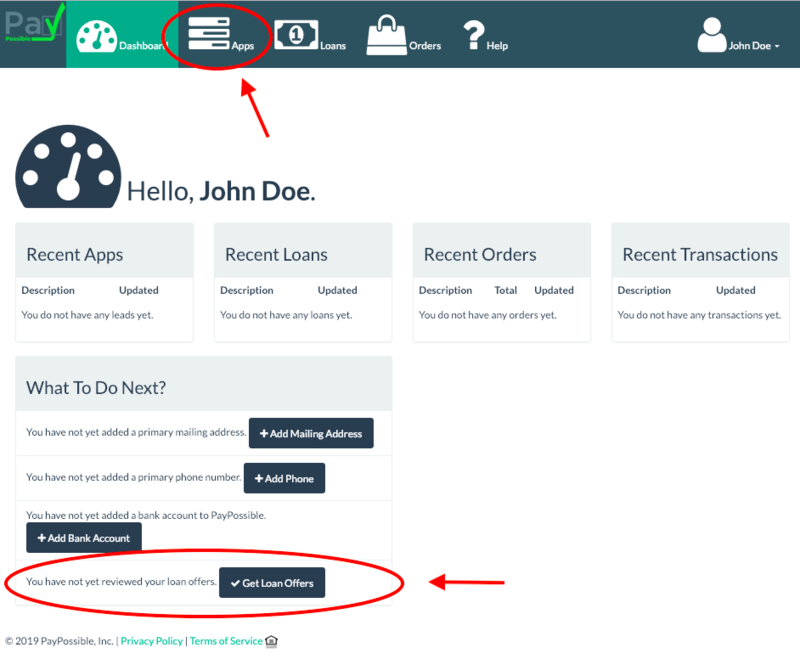 Also, If you would like to re-apply, you can do this within 'Apps' or also by selecting "Get Loan Offers" from your Dashboard under "What To Do next?". 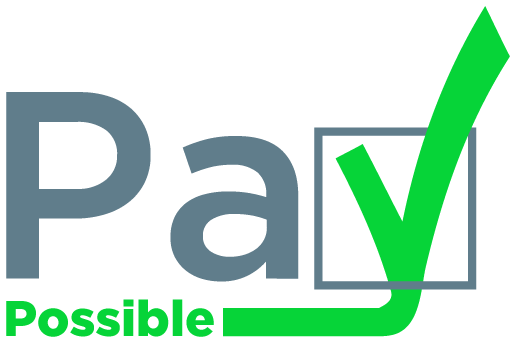 We’re continuously evaluating and adding new lending partners, so you can re-apply again in 30 days. Once you perform the above steps in order to view your offer(s), you'll then need to click the "Select Offer" button in order to APPLY to the loan offer. 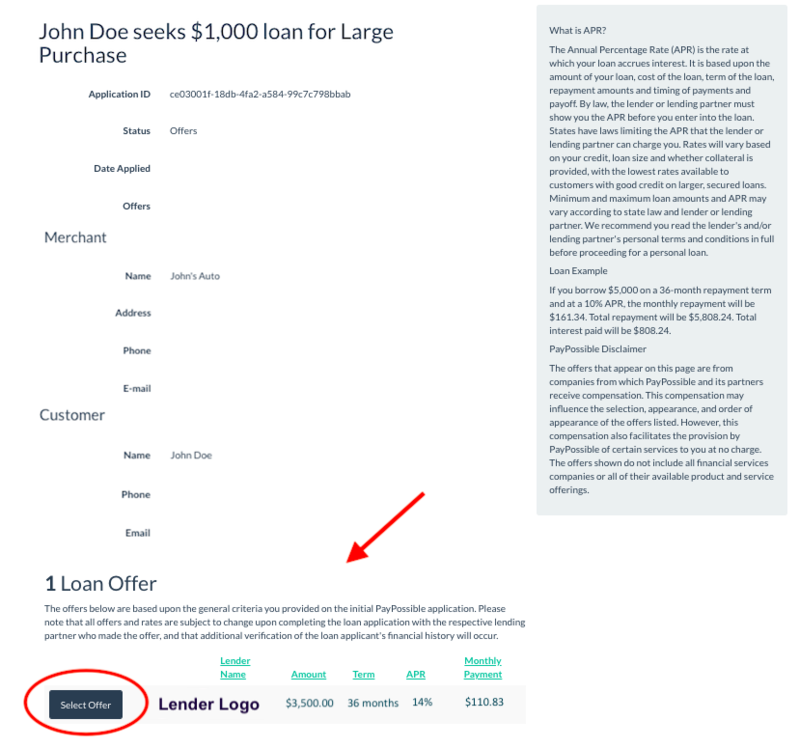 Once you click the "Select Offer" button you will be redirected to the lending partner who made the offer in order to complete the loan application.